Virus filtration and industrial applications of our hallmark Planova™ virus removal filters were the themes of this year’s workshop, with additional emphasis dedicated to the broader field of downstream bioprocessing. This expansion of the scope of the workshop was motivated in part by the increasing growth of the biopharmaceutical industry. Global mammalian cell culture capacity is expected to expand from 3 million liters to 4.3 million liters by 2016. Although an anticipated growth of this magnitude is required to extend the frontiers of medicine, pilot plants and commercial manufacturers preparing to scale up production are challenged by facility constraints, budgetary limitations, and tightening regulatory guidelines. At Asahi Kasei Bioprocess, we take pride in helping customers overcome these obstacles. Exceeding expectations is our priority and we are committed to improving life and living for people around the world. The workshop agenda was designed with this fundamental spirit in mind. 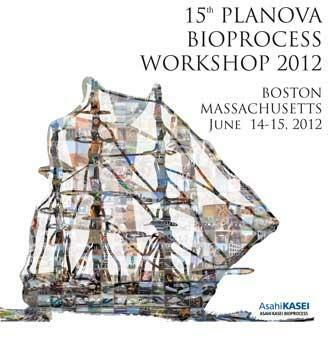 At the workshop, presentations from industry experts highlighted the robust, consistent, and high quality performance of Planova™ filters in the context of manufacturing mAbs, recombinant proteins, and plasma-derived products. Our team also unveiled the new standard Virus Filtration System, characterized by elegant sophistication and a small footprint.